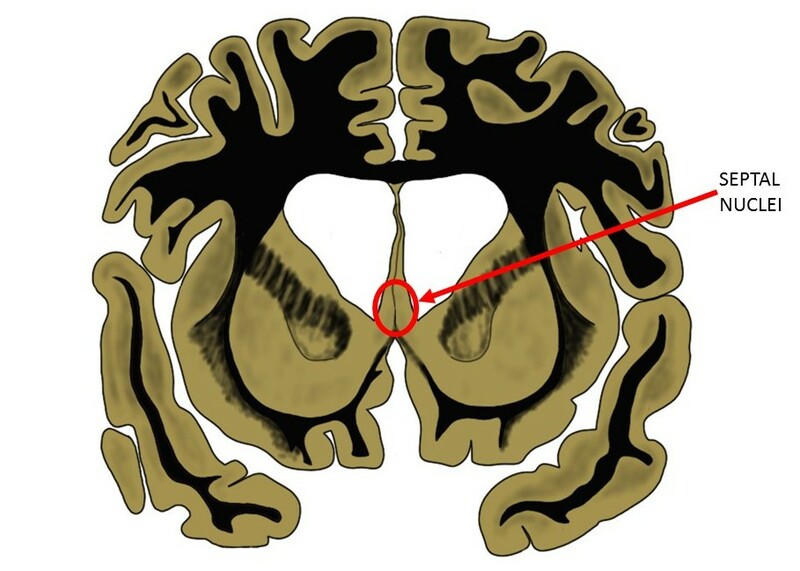 the septal nuclei as seen in a coronal brain slice. a group of nuclei found below the front of the corpus callosum, the septal nuclei are usually considered part of the limbic system and have extensive connections with other limbic structures. The septal nuclei are thought to be involved with the experience of pleasure, as electrical stimulation of the septal nuclei is reinforcing in rodents.